While documents from the archive of National Security Agency whistleblower Edward Snowden don’t explicitly back the claims made by investigative reporter Seymour Hersh, they do show gaps in the official US account of the 2011 raid on Osama bin Laden. 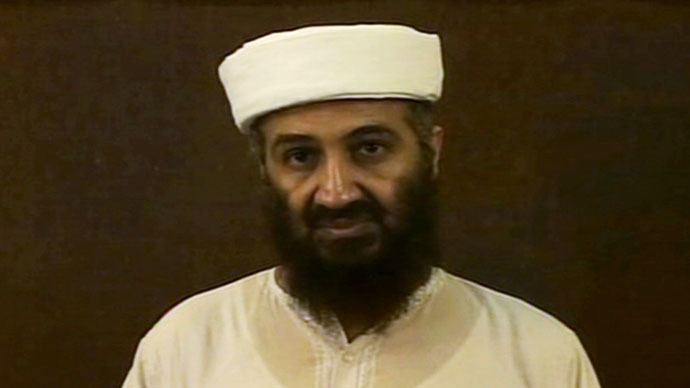 The US government continues to insist that the raid on bin Laden’s Abbottabad compound in Pakistan was the result of the CIA’s signal intelligence (“SIGINT”) capturing the movements of an Al-Qaeda courier, identified as Ibrahim Saeed Ahmed (alias Abu Ahmed al Kuwaiti). Likewise, the official version claims that Pakistan did not know about the raid or of bin Laden’s whereabouts. Hersh’s recent expose in the London Review of Books challenges these assertions, and documents obtained by Snowden and published Monday by the Intercept show that “this apparent intelligence coup surfaces rarely” in internal NSA files. In the internal NSA newsletter, SIDToday, the agency’s associate deputy director for counterterrorism at the time, Jon Darby, claims the NSA “played a key role in identifying the compound where bin Laden was found.” However, Darby also said that the NSA lost “SIGINT access” to bin Laden back in 1998, and does not mention a courier. A congratulatory article in SIDToday from November 2011, by Director of Signals Intelligence Teresa Shea, mentions “a dedicated group of SIGINT professionals” who would not give up the search for almost a decade, “and their persistence paid off in substantive contributions at critical points on the road to Abbottabad.” What those contributions may have been, though, Shea did not say. There is little in the reports to show that Pakistani authorities were outraged by the US raid on Abbottabad, which seems unusual given Washington’s insistence that Pakistan was not consulted about the raid. The reports indicate that Islamabad’s hardening position towards the US was primarily due to the mounting pressure in the media and the general public. The Intercept’s reporters caution that absence of evidence is not necessarily evidence of absence. “Given how vast the intelligence community is — and its compartmentalization and secrecy — its members may be unaware of what other agencies, or even units within their own agency, are doing,” the publication wrote. Meanwhile, in the rush to take credit for the killing of alleged Islamic State (IS, formerly ISIS) leader Abu Sayyaf in Syria last week, the Pentagon has actually revealed its intelligence and operational capabilities – something US officials have groundlessly accused Snowden of doing, noted journalist Trevor Timm. “Either leaks exposing the ‘sources and methods’ of surveillance are damaging to national security or they are not. Administration officials can’t have it both ways,” Timm argues.